If there is reason to suspect you might have mesothelioma, or some other ailment, the doctor will take your medical history and often do a complete physical exam. The exam can help tell if you have fluid in the chest, abdomen, or heart area. This fluid can be a sign of mesothelioma. Then one or more of the methods below can be utilize to determine out if you actually have cancer. Imaging tests allow the doctor to see a picture of the area in question. These could includex-rays, CT scans (computed tomography), MRI (magnetic resonance imaging), or PET scans. Fluid or tissue samples may be taken (from the chest, stomach, or heart area) with a needle and sent to the lab to see if cancer cells are present. Other methods involve making a small cut (incision) in the chest or stomach area and then using a small tube with a video camera to allow the doctor to look directly at the area in question. In another approach, the doctor can insert a lighted tube through the mouth and into the chest. This is called a bronchoscopy (bron-KOS-kuh-pee). If the tube is placed under the chest bone and then moved down into the chest, it is called a mediastinoscopy (media-stine-AHS-kuh-pee). Surgery allows the doctor to remove a larger sample of tumor or, sometimes, the whole tumor. 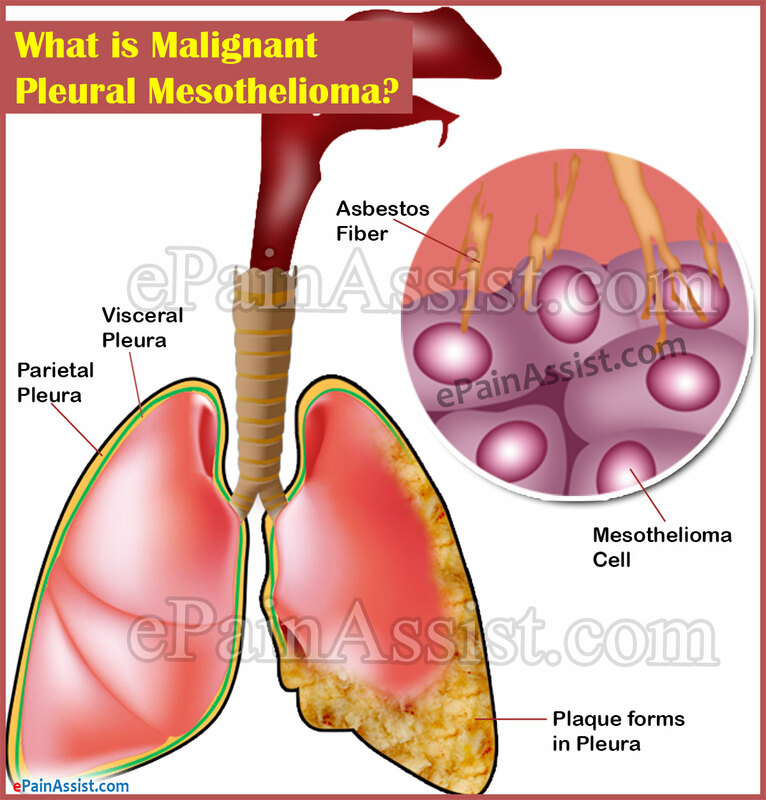 It is often hard to identify mesothelioma by looking only at the cells from the fluid around the lungs, stomach, or heart. So your doctor may want to do other tests as well. Sometimes an electron microscope is used to look at cells in greater detail.